I am happy to share that I recently worked on a project with Google to create a Google Doodle for them. 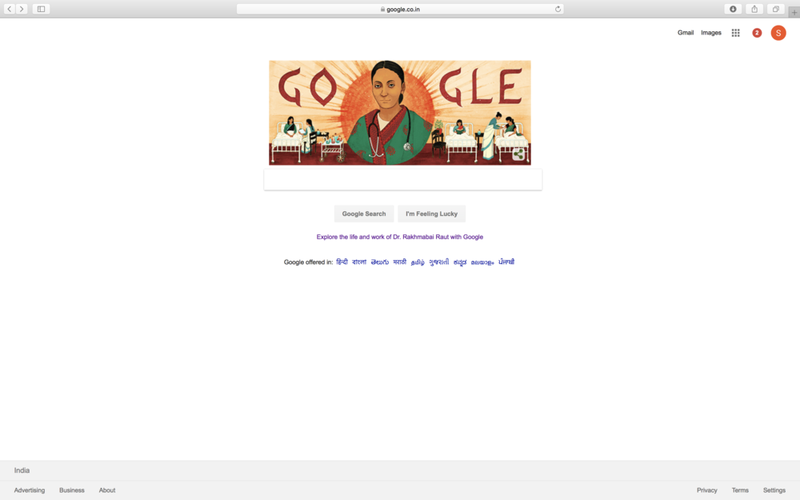 The Doodle was to commemorate Rakhmabai Raut's 153rd birthday who was the first woman to practice medicine in colonial India. She was also an activist and fought to stamp out child marriage which led to passage of Age of Consent Act in 1891. It was very interesting to learn about her life and how she fought for her rights during the time when women rights were subdued in the Indian society. Google also did a nice write-up on her on their Google Doodle website. So much thanks to AD Erich Nagler for such a wonderful assignment! !